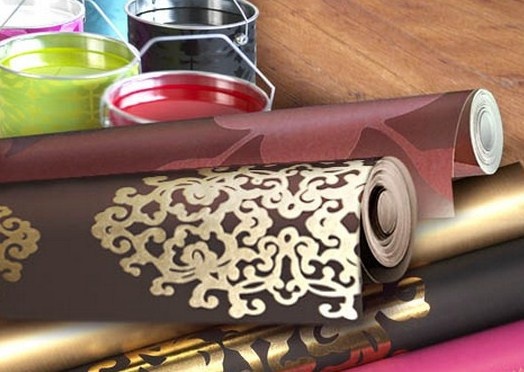 Wallpapers are periodically covered with a layer of dust, and other contaminants. Well, the Wallpaper can be washed, though not all, and only, vinyl, vinyl non-woven, but paper to wash desirable, unless of course they are not coated with a special water-resistant coating. Before the wet treatment of walls, try to remember whether the package of rolls says that they are moisture proof, otherwise you can ruin the Wallpaper. If the Wallpaper visible layer of dust, better vacuum them before wet cleaning. If you start to wash at once, you just smear the dirt, which then will be very difficult. And after cleaning with a vacuum cleaner, it is possible that washing them is not necessary, since most of the Wallpapers are contaminated by dust, which is easily removed in this way. Never use the vacuum cleaner to a higher output if the places Wallpaper bad fused, they can bruise or even break away. Pour in a basin of warm water and add some liquid detergent, cleaner for the floor or the dishes - your choice. But make too soapy solution to cope with the resulting foam will be difficult. If you have a Wallpaper, coloured, detergent in water, add it, they will eat through the paint. Regular powder use is undesirable, it leaves a whitish stains on the walls that are washed with great difficulty. Lightly moisten the sponge in the soapy water and wipe the Wallpaper. Try to wash quickly, otherwise the Wallpaper gets wet too and can sometimes come unstuck. Not much to moisten the walls, especially painted Wallpaper. If they are not applied moisture proof paint to wash them is impossible. In this case it is better to update the color, causing another layer of the coating. After washing your Wallpaper make sure that all Windows and doors to the room were closed. If there is a draft, it is likely that the Wallpaper will just drift away from the walls. Should be avoided and exposure to damp walls are thermal devices, keep the heater away from the just-washed walls. If you mess the wall-paper, which should not be washing, just wipe them with a slightly damp cloth (almost dry). When this method does not bring results, the only thing left is to change the Wallpaper. Also paper types of Wallpapers can be vacuumed.